Places are still available on the Leicestershire Rural Business Web Training Programme in various locations around the county. materials – just bring yourself! Nottingham Trent University on 8 December 2011. For more information and to book a place please see the information in the attached PDF. Grants are still available through the Inspire Leicestershire Programme to assist Leicestershire's rural businesses. The grants fall into 3 categories – The Workspace Development Grant (up to £15,000) Visitor Development Grant (up to £10,000) and Equestrian Development Grant (up to £10,000). If you have a project or idea and think your business could be eligible please contact Heather Bell (heather.bell@leics.gov.uk ) or Sarah McCartney (Sarah.mccartney@leics.gov.uk) for more details and they will be happy to help you through the process. Get in touch now to make the most of this exciting opportunity, all funds need to be spent by November 2011. Previously branded Ride Welland, the Ride Leicestershire and Beyond project has now been incorporated into Leicestershire Promotions www.goleicestershire.com, and has been extended to cover new developing areas for equestrian businesses, particularly in The National Forest. 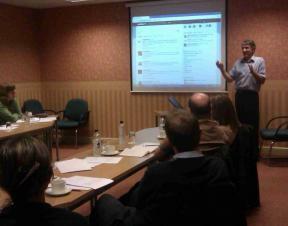 The new site will benefit from added functionality, promotion and a greater number of online visitors. o	Plan a riding holiday, day ride or find somewhere new to hack! o	Check out accommodation providers and eateries that welcome horses. o	Find local equestrian services, including vets, farriers and livery yards. Local businesses can add their details for free, helping to promote their services to local and visiting horse riders. The Rural Community Council (Leicestershire and Rutland), a partner organisation of the LRP, is looking to appoint two part time Community Development Officers to join thier successful Rural Action Team based in Leicester and covering primarily Melton and Hinckley & Bosworth Districts. These appointments will help communities with Community Development and in the delivery of Big Society outcomes. Excellent communication skills, the ability to work independently demonstrating high degree of initiative are essential. Access to a car is required. To start as soon as possible after selection. The job specification and application form can be downloaded at the RCC website. Alternatively, you may request an pack to be sent to you by calling 0116 2662905. Through the Inspire Leicestershire Programme there are a number of grants available to assist Leicestershire’s rural businesses. The grants fall into 3 categories – The Workspace Development Grant (up to £15,000) Visitor Development Grant (up to £10,000) and Equestrian Development Grant (up to £10,000). Please contact Heather Bell (heather.bell@leics.gov.uk ) or Sarah McCartney (Sarah.mccartney@leics.gov.uk) for more details. There is only one week left to comment on the draft Leicestershire Rural Framework, 2011-14. Please let us know what your future priorities for rural Leicestershire are. This information will help inform the allocation of existing and future resources available through the Leicestershire Rural Partnership. Full details on the consultation are available on our Rural Framework webpage. The LRP is encouraging you to enjoy a taste of the countryside at Melton Mowbray Country Fair on Sunday 26th June 2011. There is on offer lashings of local food and drink and a chance to make or bake in our onsite bakery with amazing bakers Vincent Talleu and Paul Jones. A chance to watch a range of rural crafts demonstrations, visit animals soft and scary or just relax with a cream tea and listen to the music all in the wonderful setting of the Town Estates Parks in the centre of the "Rural Capital of Food" Melton Mowbray. LE13 0PT. Dogs are very welcome and can enter the Novelty Dog Show sponsored by Mars with plenty of prizes for owners and dogs. -	specially designed for those who are working or volunteering in community and voluntary organisations or the public sector. •	Find out about current research and thinking surrounding areas such as community development and widening participation. The course covers a variety of topics including: principles and values, social policy, concepts of community, identity and issue based work. Assessment is carried out via coursework with an emphasis on experiential learning or learning by doing. •	Access to Higher Education Award. Applicants should possess one year’s practical experience in a youth or community setting (paid or voluntary) and will be required to undertake six hours relevant work experience per week for the duration of the course. Applications from mature students are more than welcome, and, work experiences may be accepted for entry in place of academic qualifications. 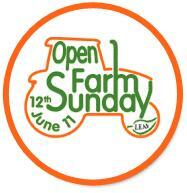 This weekend the LRP encourages you to get out and about and enjoy Open Farm Sunday. Visit a farm on LEAF's Open Farm Sunday 12th June 2011 and discover how farmers grow your food and care for the countryside and its wildlife. Farm open to the public. Opportunity to meet a variety of different animals. Farm animals including deer, bison,alpacas, mangalitza and tamworth red pigs and lambs. Shire horse. Craft activities and children's play area. Forest walks and talks. Farm machinery bygone to present day. Home produced food and cream teas are to be avialable on the day for a small charge. Come and enjoy seeing sheep being sheared, wool being spun, pig with piglets, cows with their babies and feed the lambs! There will farm walks, which are ideal ways to enjoy the peace and beauty of the countryside., Enjoy hot dogs and beef burgers using farm produce, homemade cakes and. For those of you who love machinery, there will be plenty of tractors and tools on show too! Also vintage tractors and machinery, over 30 crafts & food stalls, Meet Pen the Red-Tail Hawk, Pumpkin growing competition for the children, beer festival Sausage making, and much more. Join us at Manor Farm to discover life on a real working farm. This year we will be focusing on the life of beef cattle - who play a vital role on our farm. Learn about their life cycle, feed, different breeds and lots more. Meet the farmers, see the equipment, tour the farm and enjoy lots of actvities too. The event will run from 11am - 4pm. We are easy to find - look out for signage from the A5 and Catthorpe Interchange. Please wear appropriate footwear for a farm walk and sun hats if the sun is out! The tearoom will be open all day and we will also be having a BBQ using our own meat! No need to book - just turn up on the day! Farm and woodland walks, trailer rides. Big machines! Little creatures! Fruit to pick, pizzas to make, cream teas and local food to enjoy - and gems to pan for! 10.30am to 4.30pm. Off A426 thre miles south of Blaby. More information is available on the OFS 2011 website at www.farmsunday.org. We hope you enjoy your farm visit.